Are you irritated with your dirty dark Spots on your skin ? 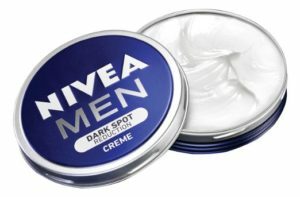 Well, you can remove the spots and can make your skin glowing with Nivea Men Dark Spot Reduction Cream, 75ml which is being offered by Amazon at Rs 108 only. This is flat 40% off. Hurry up as huge discounts are not usually offered on big Cosmetic brands !! How to get this Cream ? 5. Select suitable payment option and make the payment or order on Cash on Delivery if available.